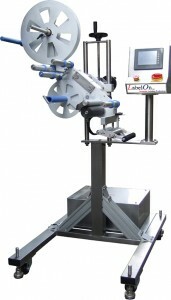 LabelOn™ range of labeling machines and label applicators is an innovator in the industrial labeling industry. The LabelOn™ Basic Top and Bottom Label Applicator Range incorporate advanced, and sophisticated label dispensing system with user-friendly interface and easy to use adjustments. Virtually maintenance free, they are easy to change label application height, thus saving valuable time and achieve higher production capacity. The LabelOn™ Basic range has models that can label one or two panels of a flat bottom/top product from above and below. Also an Overhead Conveyor can be added to help stabilise the product during conveyor transfer.